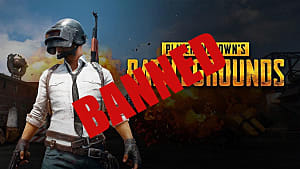 What's the best way to kick a mobile game addiction? Find another one to get addicted to, of course! 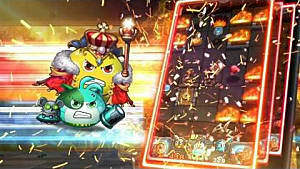 After a two-year run with Puzzle & Dragons I needed a change, and that change led me to another similarly titled but totally different kind of game: Gumballs & Dungeons. Now, if you're here you probably don't need a description of what Gumballs & Dungeons is. 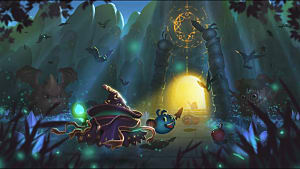 The game's dungeon crawling is top-notch among mobile games and its lack of pay to win mechanics and array of gameplay systems keep it interesting -- but you're here for a guide. You know what's up already, at least to an extent. There's a lot to know in order to make the most of your time with the game. This is not only the case in terms of the resources you need to upgrade gumballs themselves, but also in actual dungeon crawling. A couple of dungeons in and you start to realize there's more here than meets the eye, and that's definitely true. Your first few hours or even days with the game are only the tip of the iceberg. 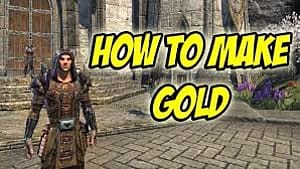 This guide is meant to help new players get quickly accustomed to Gumballs & Dungeons non-combat systems so there's no confusion or tons of coin and gem waste in the early stages of the game. It's huge, and there's a ton to do. It's only understandable you may need some help along the way. this guide will help you with the game's systems, but if you want some advice on actually running dungeons you may want to saunter over to my Gumballs & Dungeons dungeoneering advice guide as well. But the real meat lies in my Adventure title guide! I'm not sure if I personally would call the cave your Artisan and Explorer gumballs hang out in "Alchemy," but that's what it is and that's what we're going with. In this menu you can do a few things, which will unlock as you progress. I'll touch on each of these here with some notes, though there isn't anything to be said about the Potion Workshop. It's very obvious. Using the furnace you can upgrade several of your Alchemy functions. You can increase the amount of Artisan gumballs you have and how quickly they collect, how long they work after you log out, how long your Explorers stay out, your resource acquisition, and even summon special gumballs. 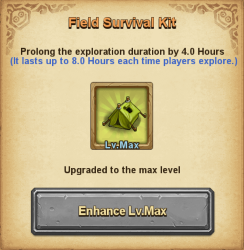 Your biggest upgrade priority and the first thing you should dump gems into is the Field Survival Kit, which increases the amount of time your Explorers will stay out. The longer they're out and about, the better items they bring back -- it's a must-purchase and upgrade as soon as you find it in a dungeon and bring it back to camp. Don't worry, it doesn't cost all that much in gems. Your other big upgrade priority, which does not cost gems, is resources. Higher tier resources unlock during gameplay, and each level you put into them makes your Artisans be able to compile them faster. Always level these to level 5 as soon as you get them and assign Artisans to gather. Here you assign your Artisan gumballs to work in the mines for precious ore and crystal, which are used to upgrade your gumballs' weapons. Tied to the resource upgrading mentioned above, your Artisans will be able to craft full resources once they reach the amount of scraps they dig up. That's what the numbers signify with each resource. One thing to note is you can only have 100 Artisans working on a resource at a time. Spread your Artisans out, but make sure you reach and keep 100 Artisans on acquiring coins first so you can buy foods and shop at the traveling merchant. You find equipment fragments on your travels and during Bandit raids you can use to craft and upgrade equipment in this menu. You can only take one piece of equipment into a dungeon with you, and each time you use a piece its durability decreases. You must repair equipment using either fragments or coins. The equipment you can forge here doesn't start to really get useful until you get them to level 4+, after which each piece boosts a particular in-dungeon title. 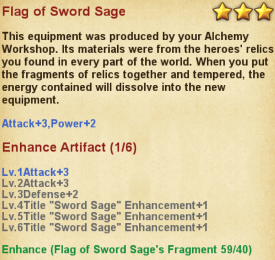 Upgrade your equipment when you can, and if there's a title you specifically want to have upgraded via equipment be sure to keep it in mind so you can grab its fragments up whenever the traveling merchant has them. Lastly, don't use fragments to repair them until they are at level 6. You'll regret wasting fragments on repairs once you're more experienced. Not much to be said about this one! Just a reminder to call them back before you go to bed and send them out again to keep them productive. They bring back food, coins, gumball pots, and gems. It's very important to keep them out exploring. You definitely spend a lot more time on this menu than the Alchemy one, and for good reason: you upgrade your gumballs and choose your party leader here. If a gumball has a food speech bubble next to its head, you can manually upgrade its stats and abilities via food. Each food requires ingredients to make. Ingredients can be found in dungeons, via Easter eggs on the map, via the Explorer's Compass in a dungeon, bought at the traveling merchant, via your Explorer gumballs, and so on. There are a lot of ways to get them, but you'll never find enough to sate their ever-growing hunger. If you want to feed a gumball right now and don't want to have to dungeon crawl to do it you can use the black market to buy ingredients at a high premium. How high of a premium? 300 coins each! That sounds fine until you realize you have to combine ingredients multiple times to get what you want, and a recipe only gets more complicated the higher tier it is. Nonetheless the black market is a necessary evil. To use it, just tap on an ingredient in the food creation menu and get down to the base ingredient -- from there you'll be able to buy them. Important note: If you are sticking to only a few primary gumballs and are using some others only as party members via Soul-Link, you can save yourself some trouble by only feeding them foods that upgrade their exclusive skill's level. 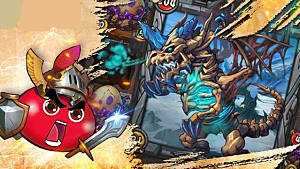 When you soul-link gumballs it ignores their stats and applies the linked gumballs' exclusive skills to the gumball you're using as the primary in the dungeon. Sticking to only leveling their exclusive skills can save you a lot of ingredients and money for a while, but once you get into airship battles you may want to start promoting gumballs of a particular faction. So you've unlocked the Training Room and you want to get your gumballs promoted up a rank. How do you get them in shape for promotion? 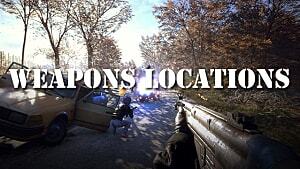 Easy: upgrade their weapons and forge their promotion certificate via fragments. When you browse through your gumballs in the Training Room menu you can see whether they have gotten their weapon and promotion certificate for their next rank. A plus sign means you have the necessary components. 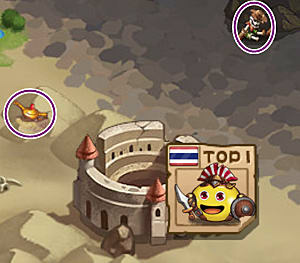 Gumball fragments can be obtained via dungeons, the traveling merchant, and the Mercenary Camp once you have found it. 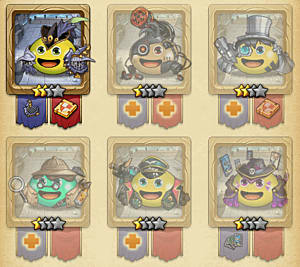 Fragments for gumballs gotten from dungeons can be farmed by doing their dungeons and Bandit gumball raids, while the traveling merchant and Mercenary Camp have fragments for rare gumballs. The world map is pretty detailed, and some of those details can net you rare resources, small amounts of coin, Fruit of the World Tree, and even gems. Keep an eye out for any others you may see! Easter eggs seem to refresh every 2 or 3 hours. The one big thing that's really refreshing about Gumballs & Dungeons (aside from the depth of the dungeon crawling) is how lenient it is with giving gems. You can really rack them up if you spend time playing the game daily -- you easily get enough that you don't have to spend any money at all to enjoy the game in full. 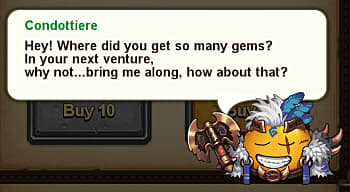 You can get gems a few ways, including from dungeons, from the "I want gems!" Dragon Ball wish, some Easter eggs on the world map, daily quests, meeting the requirements of the World Tree... The list really goes on. You can rack them up easily. Pick up fragments for gumballs you specifically want from the traveling merchant whenever you can, as well as fragments for artifact equipment that affects your favorite titles. If you want to buy gems, your best bet by far is buying the Workshop Signboard from the Shop menu. The Workshop Signboard $9.99, but grants you 50 gems up front as well as 10 gems and 1 Gumball Pot a day for a month. It's the only real money investment you should make, and only if you've been playing a bit and think you will for a while. 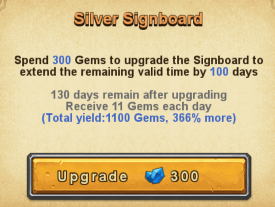 The best part about the Signboard is you can upgrade it using gems to make it last longer and give more gems per day. 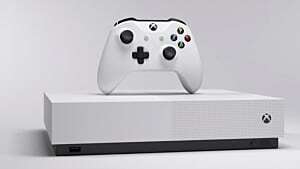 It's an amazing purchase and if done right, one that will help you for a long long time. 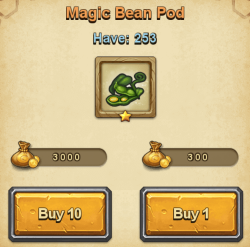 You get gumballs from finishing dungeons, you get them from getting enough for their fragments.. how else can you get gumballs? 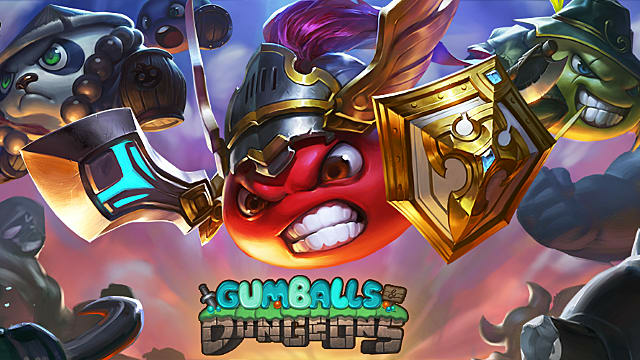 Warrior gumball - Have the Adventurer gumball in your party (primary or soul-link) and meet the Warrior 11 times to have him join you. Condottiere gumball - Buy 15 Golden Pots at the Mercenary Camp. Zorro gumball - Fight through the Village of Heroes dungeon while wearing the Zorro Mask you find inside. Get the mask to max level by killing bandits while wearing it and hopefully Zorro will appear as a boss at floor 60. Kill him and he'll be yours. Spy gumball - Use 35 secret order codes (gear at the top of the screen, then 'Secret Order' at the bottom right) then use the code JOINME. This is definitely not the extent of them, there are about two dozen hidden gumballs. You want free money and runes for your airship, right? Make sure you input each day's secret order! You can get the daily secret order on the Gumballs & Dungeons Facebook every day. Repairing your airship unlocks a whole other section of the game and should be done as quickly as possible -- unless you need to upgrade your resource levels. That 500,000 coins and 15 gumballs will come in time, but don't let your eye off the airship prize. You will be specializing in a particular faction during your first few weeks with the game. Choose which faction you want to open Golden Pots for wisely. Your best bet early on is to stick to the faction you have the most of or like best. Don't be afraid to adjust your Artisan gumballs based on the resources you need most, but don't ever reduce the amount of Artisans you have on a resource down to 0. You're going to need them all sometime. Do your quests every day, no excuses! They net you valuable resources, money, and vigor daily. Once you've completed 10 total you get two Golden Pots and 10 gems, so it's definitely worth it. All this advice is by no means the full extent of what there is to know about the intricacies of Gumballs & Dungeons -- heck, this hasn't even covered actual dungeon crawling (don't worry, I'm working on that). 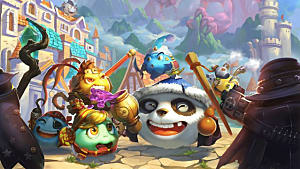 The game is so packed with features and small aspects it's hard to list them all out, but hopefully this guide and the tips within have helped you understand and enjoy G&D a little more so you can make the most of your time with this addictive and non-P2W mobile dungeon crawler.